LOCATION, LOCATION, LOCATION!!! Close to shopping with easy access to I-4 yet on a quiet street. Fantastic 3 br, 2ba, (plus a nice office, currently being used as a 4th br). 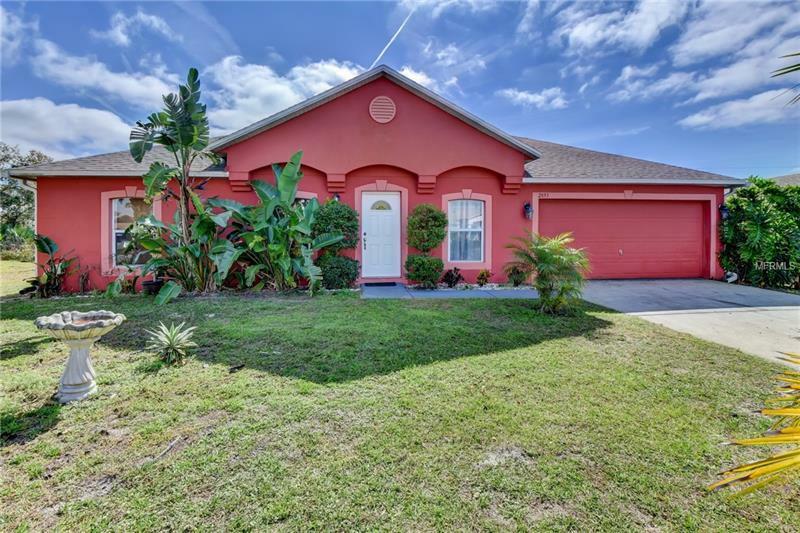 This outstanding large home is beautifully landscaped with wonderful curb appeal. As you enter this striking home you will apreciate all the room and the grand feel this home exudes, complemented by a wonderfully designed open floor plan. Home has large windows allowing lots of natural light, beautiful arched doorways, and ceramic tile throughout. This spacious home has a new roof (2018), newer appliances and a new septic pump. As you walk into the back yard you will find a covered patio surrounded by a privacy fence that invites you to relax and enjoy your beautiful home.